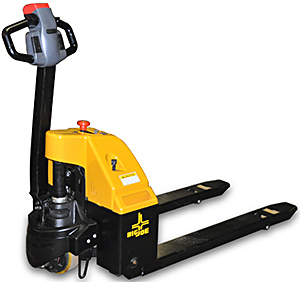 Special Lowered Fork Height of 2.4"
HOF Equipment Company carries a variety of Big Joe electric pallet jacks, Vestil electric pallet jacks, and Presto electric pallet jacks. 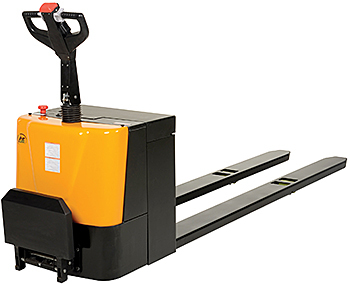 Load capacities range from 2,500 LBS to 4,500 LBS. Models with extended fork lengths available. 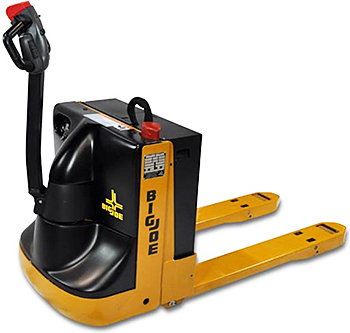 We also carry economical semi-electric pallets jacks that are manual push with powered lift. Not sure what you need? 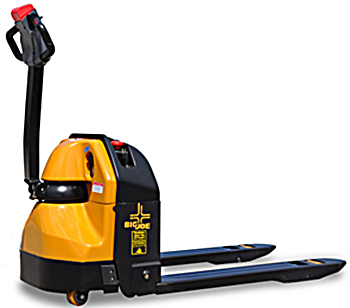 Contact HOF Equipment Company at 888-990-1150 to discuss your electric pallet truck requirements. 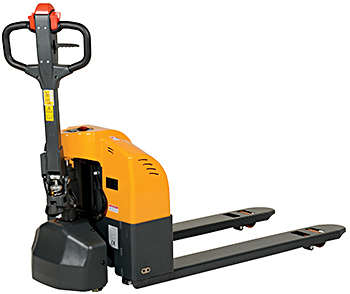 We are dedicated to adding value to your pallet handling activities. Take a look at our full product selection today! Prices shown do not include shipping. 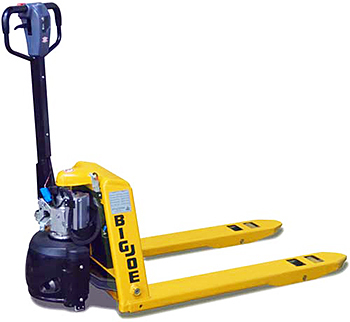 If you would like a Shipping Quote before ordering simply add desired items to your shopping cart and then select Submit Items in Cart for Shipping Quote. 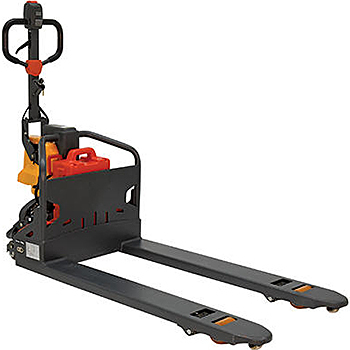 We will promptly email you a shipping quote. Copyright 2005 - 2019 HOF Equipment Company. All Rights Reserved.